This is a guest post by Arba, who is a SEO expert and writes on topics related to Internet Marketing. She’s working for smartpress.com that offers brochure printing services. Blogging might be turning out as a good and easy source of income for some, but for the majority, it remains a rather frustrating experience. You might have gone through the popular blogs and thought that good writing skills combined with an easy to use CMS like WordPress means a definite success, the reality is different. At any given time, there are hundreds and thousands of blogs or bloggers who are far from contented from their blogging experience despite having good writing skills. In fact, some of them can write even better than some of the most popular bloggers, but the dearth of SEO knowledge means that they will never get the kind of recognition they deserve. One of the most important factors of SEO (Search Engine Optimization) that can make or break your blogs is to target the right keywords in the right way. And one of the biggest challenges you can face as a blogger is to create a balance between the practice known as keyword stuffing (when you stuff in keywords by hook or by crook) and a complete lack of concern towards the importance of focusing the right keyword, especially in meta titles or headings in your post. Choosing the right keyword can be a little tricky; those who have access to some website analytics know that some seemingly absurd key phrases can send quite some traffic to your website, while some standard ones failing to fetch any visitor. At times it happens that some of your web page will get ranked for a keyword you’ve never aimed for, and bringing in unique visitors to your website, and at times you might target a keyword, assuming that a big majority must be searching by this keyword, only to find out that there’s not much traffic coming in from that particular keyword (once you get to the top). Moral of the story, you can’t rely on the guess work if you are really serious about your blog. There are some premium tools available in the market for keyword research, or you can use the free ones like Google Adsense keyword tool. Remember that most of these tools will just give you some ideas or suggestions; the final decision is yours and you have got to choose the best keywords according to your resources, goals, and objectives. Never make the mistake of choosing the heavily searched keywords without taking into consideration the competition. 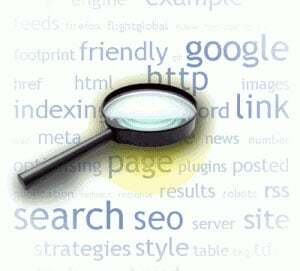 Chances are that almost all heavily searched keywords will be having strong competition, so you should go for such keywords only if you’ve got the time, resources, and stamina to sustain the pressure. For a new blogger, it is best to adopt blue ocean strategy instead of getting into the red ocean. Going for the first or second tier keywords is going to take a lot of investment and time to get on the top, it’s true that the rewards are well worth the efforts, but you have got to plan while keeping in mind the struggle, not rewards. Remember that the best time to do all this research is before you’ve put down the first brick. The sooner you decide the better, because it’s only after you’ve chosen the set of keywords, you can start constructing your blog around those keywords, from deciding the categories and setting up the Meta titles. However, that’s where you should curb your fascination with the keywords, as it’s the time to write the posts. Remember that your blog posts shouldn’t be filled with wayward sentences just because you’re trying to fit in some particular keywords. It’s more than enough to use one or two keywords in the title while keeping it natural, but don’t try to sneak in one or two keywords in every second line of the blog post. As I’ve earlier mentioned, you need to strike the right balance between totally ignoring the keywords and getting too indulgent, because both can be counterproductive. So what’s your strategy or method to pick & use the right keywords for your blog posts ? Arba's expertise's include search engine optimization and Internet marketing. She also writes tutorials and how to posts like this one. This is what i have been exactly doing- the guess work. I think that this is probably the best SEO keyword that will bring tons and tons of traffic and the irony is Google did not even index it. But my laziness and the bad part of me takes over me and I never think about taking the pain of doing keyword research. We all know very well what is the use of keywords which all can give good response to our site if keywords will right then it will be like work great for us. Beside that we have many options to search good keywords for our site/blog and my favorite is Google adwords. It is quite true that a lot of very talented bloggers are stuck behind bad SEO and never find the success they deserve. As far as keyword optimization goes, I am still not sure how to do it most effectively. I try to leave one keyword for every 100 words but sometimes it becomes essential to use the keyword a lot of times for the sentences to make sense. A wonderful post by a Really Impressive SEO Expert!! It is always been an advantage for you if you have the correct way to right Keyword Placement!!! Well, really enjoyed reading this informative post!! Arba excellent post and right keywords are must for success of the blog. A free as well as paid tools are available. Keyword research is the first & foremost step in successful blogging. Ignoring this can be fatal for bloggers. You have properly explained the significance of keyword research and the best ways to do it. Thanks for sharing an informative and very useful article.